Dr Julia Reid MEP, who represents Gibraltar in the European Parliament, welcomes the news that Spain will not seek to block a Brexit agreement by attempting to regain sovereignty over Gibraltar. 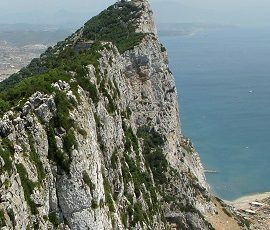 Since the publication of the European Council Brexit negotiation guidelines back in March there has been an increased rise in tensions, as the guidelines said that Spain would be given a veto on the Brexit deal if they failed to reach an agreement with the UK on the future sovereignty of Gibraltar. However, Spain’s foreign minister, Alfonso Dastis, has now allayed fears that Gibraltar could be used as a pawn in Brexit discussions by saying that Spain would not “jeopardise” a future deal by demanding Spanish sovereignty over Gibraltar. This comes after recent news over whether or not Spain’s veto over Gibraltar is illegal. Many MEPs and legal experts warned that Spain’s effective veto over the Rock would give them special status among the other member-states, which are supposed to be equal. Given this, many experts suggested that the European Court of Justice may have ruled that the veto is in breach of EU law. Dr Reid added: “Back in April we tabled a number of amendments to the European Parliament’s Brexit resolution which aimed to protect Gibraltar’s sovereignty, and, considering that Labour, Lib Dem and Green MEPs voted against our amendments, it’s just as well that Spain has decided not to capitalise on this. However, I suspect that the question surrounding the legality of the veto may have influenced their decision not to block a Brexit deal”.